Keeping fish has proven effects in reducing stress and improving mental health, so it’s no surprise that more and more people are choosing to keep them in their own home. With a huge variety of tank sizes to choose from, and a wealth of fish in all different shapes and colors, there is something to suit everyone who wants to venture into the world of aquariums. 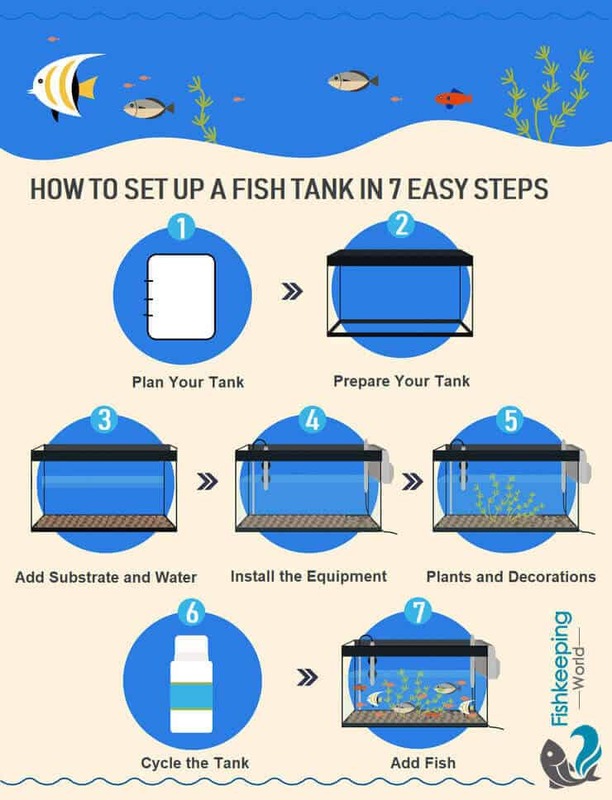 In this article, we’re going to explain how to set up a fish tank including: preparing the tank, installing the equipment, cycling the tank and acclimatizing fish. Unfortunately, it’s common practice for fish stores to sell fish to customers who have only had their tank set up for just a few days, this article will explain the importance of setting your tank up properly and carrying out a full cycle before adding any fish. This is the step that most people miss out, yet it is the most important one if you want to have a successful, thriving aquarium. Before you even begin to look at tanks, or equipment, you need to decide what species you would like to keep in your tank. 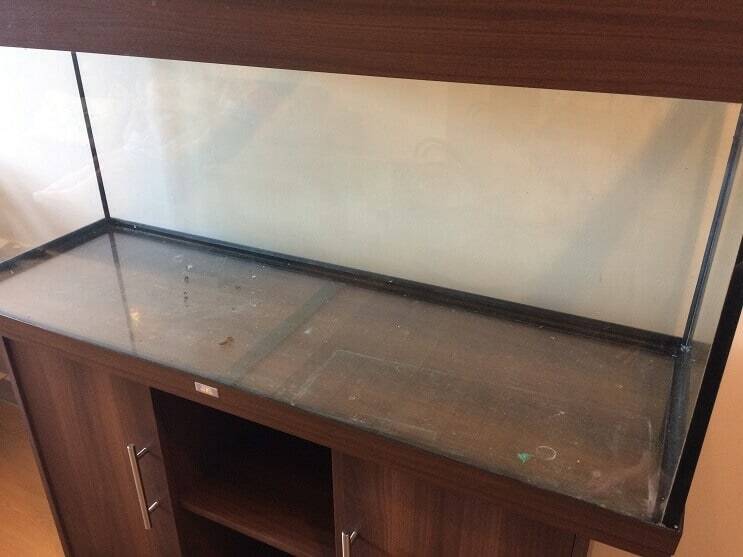 Is it going to be a large community tank, a smaller species only tank, or a breeding tank? 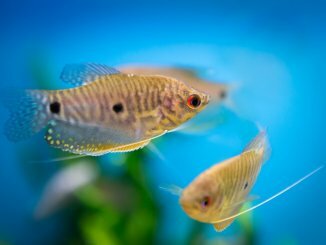 The type of fish and invertebrates that you decide to keep will determine the size of your tank, the water conditions within the tank, the equipment you need, and the types of plants you need. Sit down and make a plan about exactly what you want from your tank. Once you know the species you want to keep, you can move on to buying the tank and the right equipment. If your tank is small, you might want to use a piece of paper, the same size as the bottom of your tank and plan out where you want your plants and decorations to go to ensure you have enough space. Once you’ve purchased all your equipment, you’re ready to set it up. Before you start adding any water you need to make sure the tank is clean. If you’ve bought a new tank you’ll just need to use a damp cloth to wipe off any dust it’s gathered. Never use soap or detergents to clean your tank. It’s important to also remember that any equipment you use for your tank (e.g. cloths and buckets) should be new and only ever used for your tank so you don’t get any household chemicals or other products in your tank. A used tank before being cleaned. If you’ve bought a used tank you’ll need to give it a bit more attention. Remove any debris from the tank, and use vinegar and kitchen roll to clean the tank. Clean both the outside and the inside of your tank. Be careful doing this if you’ve bought an acrylic tank. Acrylic can scratch extremely easily, so you’ll need specific cleaning cloths for an acrylic tank. 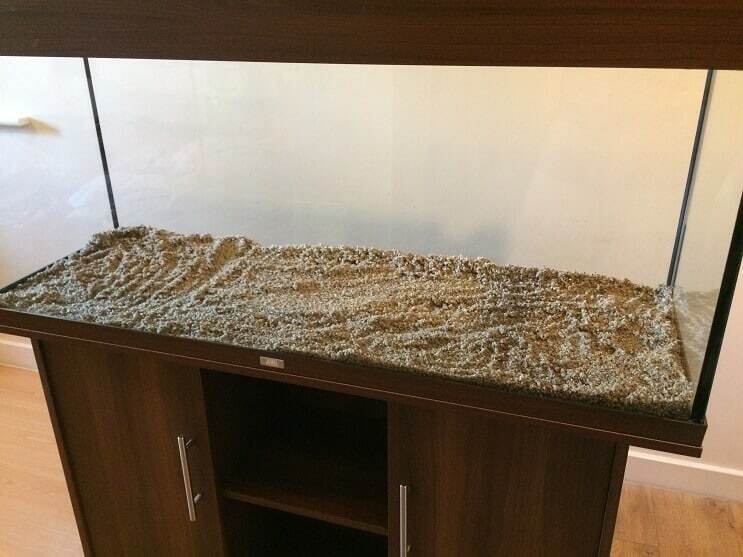 A used tank after being cleaned. Once you’ve cleaned your used tank you’ll need to check it is leak proof. To do this, fill it with a couple of inches of water and leave it for an hour. Run your finger around the bottom edge to see if there are any leaks. If you do find any, you can use an aquarium sealant to reseal the tank. Now it’s time to get your tank into the right position. Make sure you place it somewhere out of direct sunlight, and near a power supply. You also need to make sure that the stand you’re putting your tank on is suitable and strong enough – putting water in the tank can add a lot of weight to the whole tank. For example, a 50 gallon tank weighs around 100 pounds when empty, and once filled weighs around 600 pounds. This is another good reason to have you tank in the correct position before filling it, because it will be very difficult to move afterward filling. Once your tanks in the correct position, you need to make sure it’s level. You can do this one of two ways. You can either use a spirit-level, or you can fill it with an inch or two of water and see if it’s level by eye. Your tank is now clean, in the right position and level. 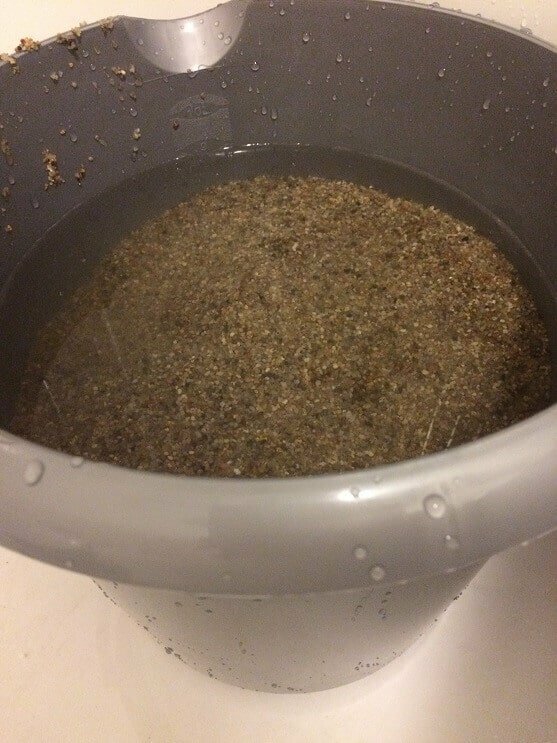 Now it’s time to prepare your substrate and add the water. 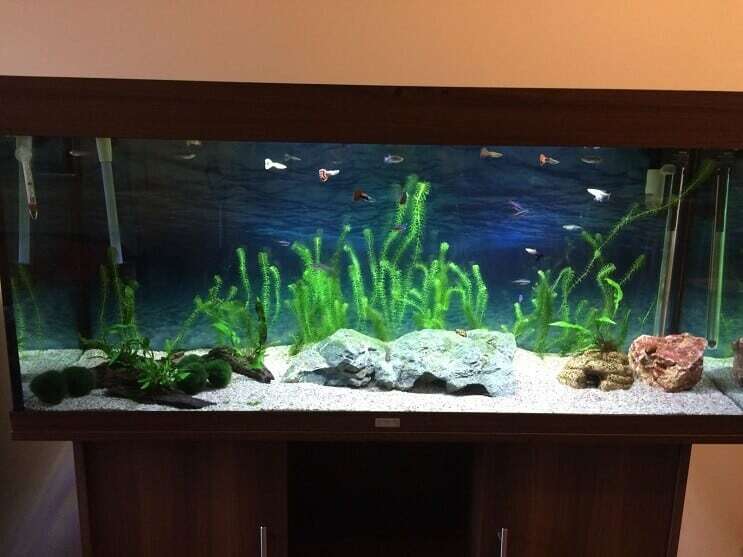 The type of substrate you choose is down to your personal preferences, but will sometimes be determine by the type of fish and plants you want to keep. For example a lot of Catfish need a sandy substrate. The amount of substrate you need depends on how thick you want it. A good rule of thumb to follow is 1lb of substrate per gallon of water; this will be enough to make a 1” thick bed. If you want it thicker, 2lbs per gallon will create a 2” bed of substrate. Remember different substrate weighs different amounts so the weight you’ll need varies. Although substrate normally comes prewashed, it will most likely be very dusty and need to be rinsed so it doesn’t cause your tank to be really cloudy. You’ll need to rinse the substrate before you add it to the tank. You can do this by putting small amounts in a bucket and fill it with cold water. Use your hand to swirl the substrate around and carry on rinsing it until the water is running as clear as possible. If you have a lot of gravel to clean, you might want to consider doing this outside with a high pressure hose. Keep pouring the water out of the bucket, and spraying again until the water is clear. Some substrates (e.g. powder-coated gravels) don’t do well being washed this way and the water just gets more and more cloudy. Just try to remove as much dust as possible and use less vigorous hand movements. Now your substrate is clean you can add it to the tank. Start off adding just a thin layer to make sure you don’t scratch the bottom of your tank, and then you can pour the rest in. When you pour the rest of your gravel in, think about whether there are any areas you’d like raised a bit higher, perhaps to bury the roots of plants into. It’s common to see aquarium gravel running in a slope, from the highest point at the back of the aquarium to the lowest point at the front. 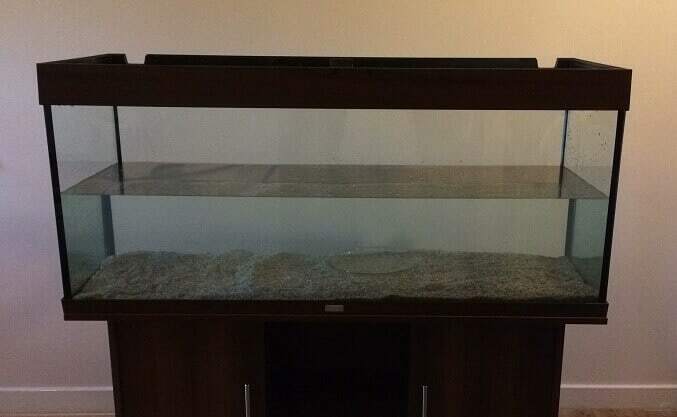 Now your substrate is in, you need to fill the tank up with water. If you are only using a small tank (less than 20 gallons) carry out step four and five before adding water. Now, the way to add water varies depending on whether you are setting up a freshwater or saltwater tank. The photos we are following are of a freshwater set-up, so we’ll take a look at how to do that first. 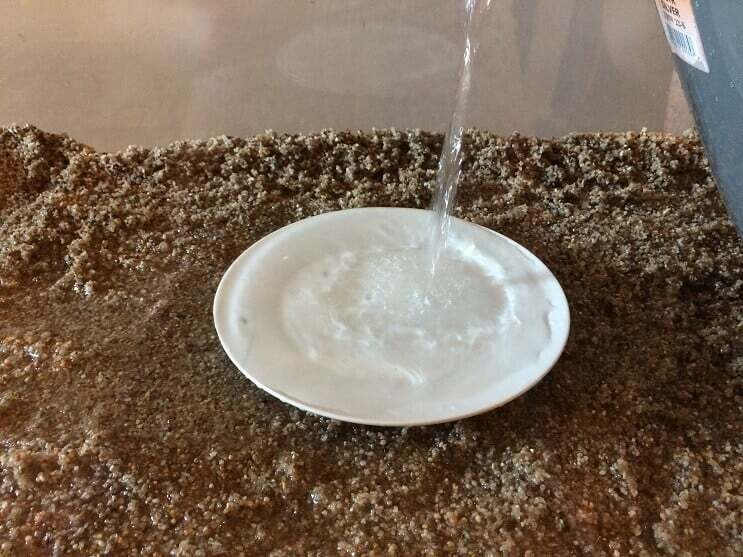 To prevent your gravel or sand from being disturbed as you pour water in, you can use a saucer or a bowl. Saucer being used to prevent gravel being disturbed. Place the saucer wherever is easiest to tip the water in, and slowly start pouring your water in. When the tank is full, you’ll need to add a de-chlorinator to the water. Follow the instructions on your bottle. It usually gives you the ratio in ml’s per gallon, for example, 1 ml of de-chlorinator per 20 gallons. Before you add any water to your aquarium, you need to prepare it first. You need to use water that has been through reverse osmosis (you can either buy RO water or use treatments); also make sure you’ve used a de-chlorinator too. To prepare your saltwater use a salt mix and follow the instructions on the packet to ensure you add the right amount. You can then follow the step above to add the water to the tank. 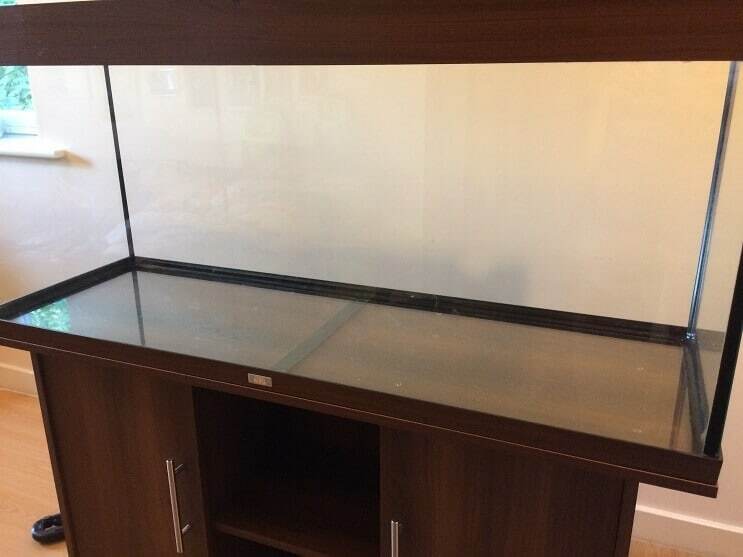 Your tank is full of water and substrate, now it’s time to install the equipment. At a bare minimum, most set-ups require a filter. All installations of filters vary depending on the brand you’ve chosen. You will either have opted for an internal or an external filter. Internal filters are relatively easy to install, start off by assembling all the parts. The filter needs to go on the back wall of your tank, and the wire needs to reach a power supply. Here is a video of a small filter being fitted to a tank; it’s likely that there will be a specific YouTube tutorial on your brand of filter if you do need any extra help. If you’ve chosen an underwater gravel filter you’ll need to install that before adding the water. Always make sure the filter is properly installed before you turn it on at the power supply. The tank in our example uses an external filter. 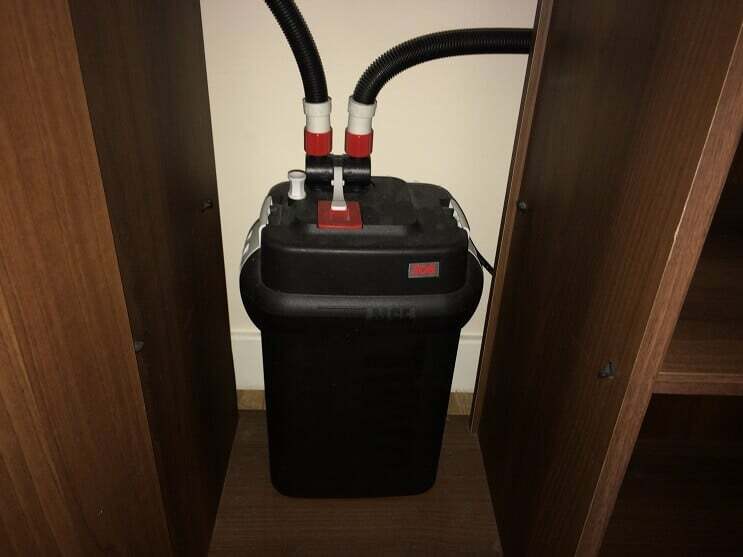 External filters have space for more forms of media and filter the water more effectively. External filters usually sit within the stand, below the tank. An external filter carries the water out of the tank, and to the filter below to clean in, and then sends it back to the tank. Always make sure that the inlet and outlet tubes are straight with no bends or kinks so the water can travel out of (and back) into the tank freely. Most external filters need to be full of water before you plug them into the power supply – this is called priming the system, which gets water moving through the filter. Once you’ve installed the filter, you need to install the heater (if you’ve chosen a tropical or saltwater set up). Most heaters are pretty self-explanatory and come with a dial on the top to choose the right temperature. They also have a line which shows you have far to submerge the heater. Always place your heater on one side of the tank, and install a thermometer on the opposite side to ensure your tank is heated consistently throughout the tank. If you’ve bought any other equipment which needs installing, such as air pumps, stones and lights, you should do this now. If you’re setting up a saltwater aquarium you’ll also need to install your protein skimmer and any other equipment you’ve purchased. Now you’ve finished setting up all the operational parts of the tank, you can focus on making it look how you’ve envisaged. You might want a heavily planted tank; you might want a very natural looking tank with some large stones, driftwood and just a few plants. Or you might want to create a theme based on a movie. Whatever you choose, make sure you follow the plan you made at the start of this process to help with the layout of your tank. Rinse each item to remove any dust before putting them in, and then place them in the appropriate place. When you’re positioning your plants, you’ll find that some plants, such as Anacharis do better as background plants and some do better in the front. Always carry out research into the placement of plants to make your tank as visually appealing as possible. When it comes to planting them, you’ll also need to make sure you follow the advice for each species. Most plants can be buried straight into the substrate, however some plants such as Java Fern, need to be attached to driftwood before putting them in the tank. You’ve finished setting up your tank! 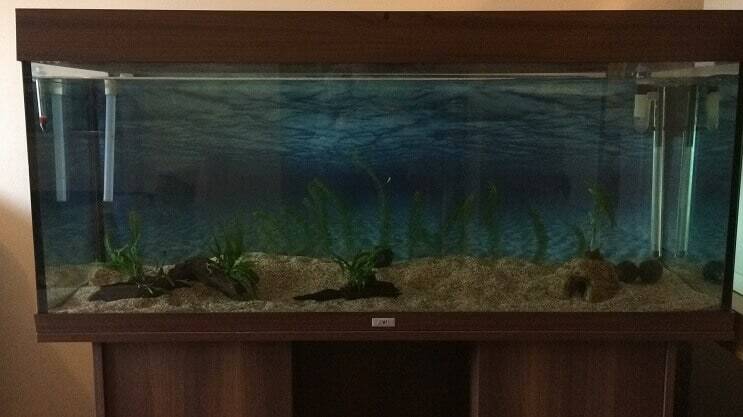 Whilst it may look ready for fish, you’ll need to be patient and wait until your tank is cycled before you can add any. This is known as the Nitrogen Cycle. Most fish stores recommend leaving your tank only for a few days before adding fish, this is not advisable. Cycling the tank means you are building up a bacteria ‘bed’ in your biological filter which is essential for the health of your future fish. Firstly your filter will grow a culture of bacteria which converts ammonia into nitrites. Then it will culture bacteria which converts nitrites to nitrates. Both ammonia and nitrites are toxic to fish so it’s important you run a full cycle to allow these bacteria to develop. Nitrates are still toxic to fish, but only in high levels, which is why it’s important to carry out regular water changes to remove them. We always recommend cycling your tank without fish, so they are not exposed to any of the toxins. To begin the process, add some ammonia into your tank, this is readily available in almost all fish stores and only cost $2-$3. Follow the instructions on the bottle; some recommend that you add a large dose at the start, others recommend adding a certain dose per day. Carry out tests on your tank once a week to check the levels, you’ll see the ammonia and nitrite levels spike and then start to drop. Once they reach zero (0ppm), your tank is fully cycled. Add filter media from an established tank. Increase oxygen levels (use an air pump or stone). The most common way to cycle a saltwater tank is using live rock. Whilst the rock isn’t actually alive, it is referred to as live rock, because this is where the bacteria build up. Always choose rocks which are light – this means it will have plenty of tiny nooks and crannies for the bacteria to build up. Always transfer the rock from wherever you’ve bought it to your tank as quickly as possible to prevent the bacteria dying off. You might find that the dead bacteria is enough to kick start the cycling process, but if not, you can follow the same step as in the freshwater step above and use liquid ammonia to start the cycle off. This whole process takes around 6-8 weeks. Once you’ve checked your ammonia and nitrite levels are at 0ppm, perform a 50% water change to remove any build of nitrates. You are now ready to add fish! This is the step you’ve been so patiently waiting for! You’ve probably invested quite a lot of time and money into your setup and are excited to introduce fish to your tank. You need to make sure you add your fish slowly over a period of a few weeks (or months); the amount you can add depends on the size of your tank. Start off by adding no more than one inch of fish per 10 gallons. You then need to acclimatize your fish. 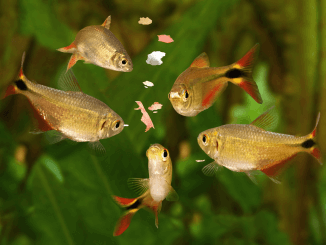 The purpose of acclimation is that fish are sensitive to any changes in their water, so moving them from one tank to another should be done slowly. It’s likely that the water they are currently in is slightly different to your tank temperature, pH and salinity parameters. 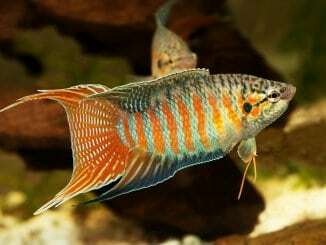 If you want to be on the safe side, you can quarantine fish in a separate aquarium for a couple of weeks to observe them. Some people like to do this to ensure they are not showing signs of disease. Turn off the aquarium lights and dim the lights in the room. Float the bag for 15 minutes to allow it to adjust to the temperature. Cut the bag open at the top, and roll the bag down creating an air pocket so the bag floats. Add ½ a cup of water from your aquarium to the bag. Repeat every 4-5 minutes until the bag is full. 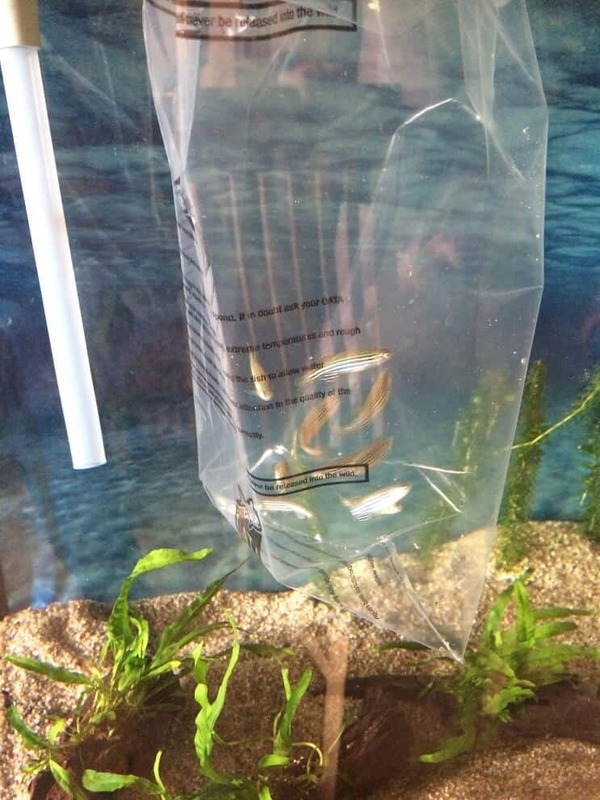 Discard half of the water from the bag (not into the aquarium) and add ½ a cup of water again, every 4-5 minutes until the bag is full for a second time. Using a net, slowly pick up the fish and remove it from the bag, adding it to your aquarium. Discard the water in the bag. Observe your new fish over the next 24 hours period to ensure they are settling in well, and eating properly. Hopefully you now feel confident enough to set up your first fish tank. Whilst this might sound like a lot of steps, each one shouldn’t take too long and they can be split up over the period of a few days or a week in you don’t have one big chunk of time. Plan out exactly what you want from your tank before you buy anything. Always place the tank in its permanent position before filling it. Make sure your equipment is properly installed before switching anything on. ALWAYS ensure your tank is fully cycled before adding any inhabitants. Acclimatize your fish slowly so they don’t become stressed.